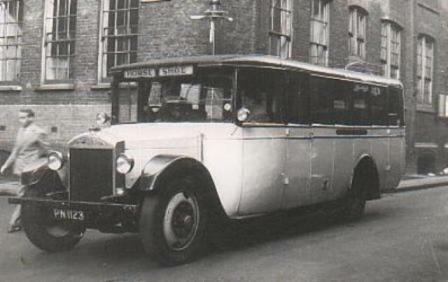 With my reintroduction into the new PCV (Formerly known as the PSV) industry after over twenty years in the "wilderness" I have taken the role on as a bus driver, which is totally alien to me as I had up to now never actually driven either a bus or a coach for a living. 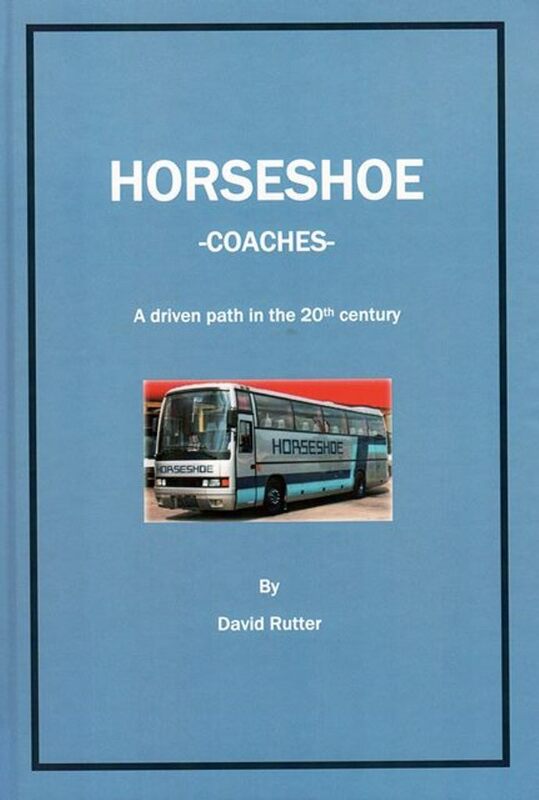 The contents goes back in time to consider various aspects of Horseshoe Coaches and I freely discuss my personnal view on my new job. 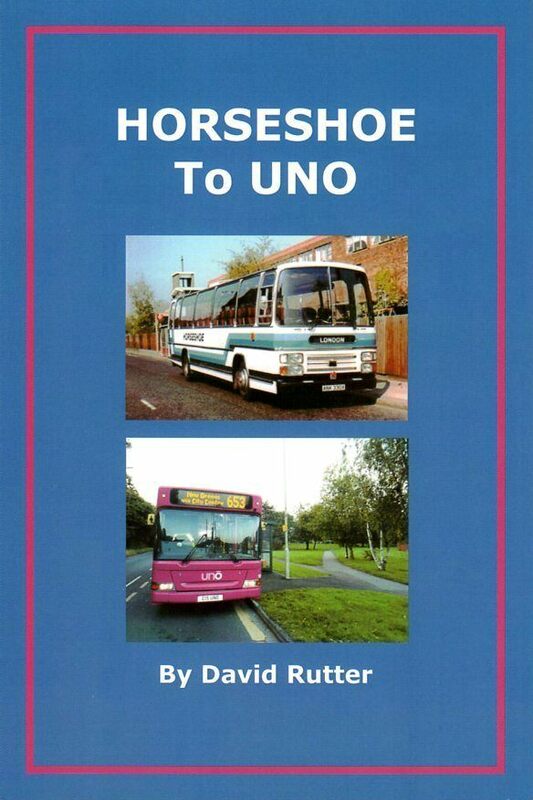 I find myself looking at areas that are now being covered by the UNO bus company that ironically were Horseshoe's old stamping ground in Bedfordshire, as well as looking at the role UNO now play in today's bus transport world. The booklet is softbound, British royal in size - a bit bigger than A5, 74 pages in total, approximately 50% text and 50% images that are in either colour or black and white. 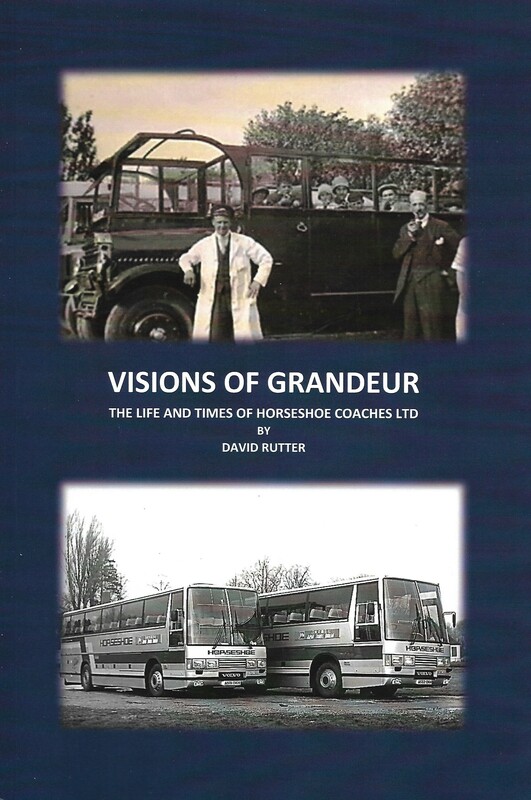 This editorial will make an interesting conparison between the old and modern bus companies as ironically Horseshoe operated more as such than a coach business with many stage carriage licenses up to and including 1981. 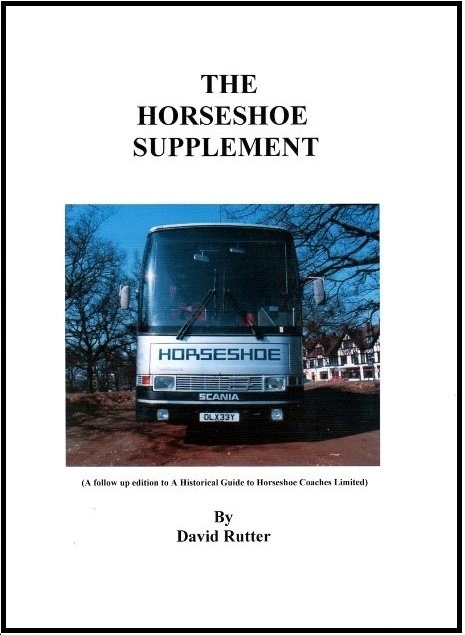 A forty eight page booklet, saddle stitched printed on glossy art paper and covered by stiff card, this second edition on Horseshoe Coaches covers other aspects of the company that were not originally covered by the first - the Historical Guide. Eight chapters with plenty of interesting images coupled with text giving around 50% of each part. Having take note about parts from the Historical Guide I wrote basically ten years ago, this was looking rather forlorn in it's make up now compared to the UNO booklet I had printed earlier in 2014. That particular format needed updating hence the latest title. 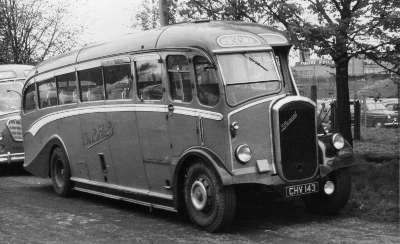 Taking a majority of the earlier text and some of the images, rewriting it from my view as I accompanied the MD initially as a young son with his Father through the late 1950s/60s/70s and then as a man in his late twentys being employed by the company. Noting a lot more than before, different aspects of the relationship from that being the son to an employee who had different ideas as to the running of the company, to once more the eventual closure with the last chapter looking to put a completely different spin as to why possibly it happened. 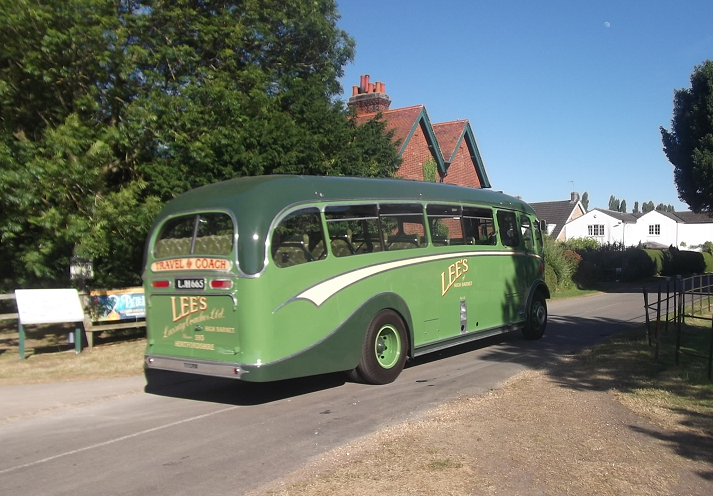 With some of the original images but with a "bundleful" of new images intermingled throughout. So totally different from your "normal" run of transport books. British royal size/155 pages/printed on good cartridge paper/B&W and colour. 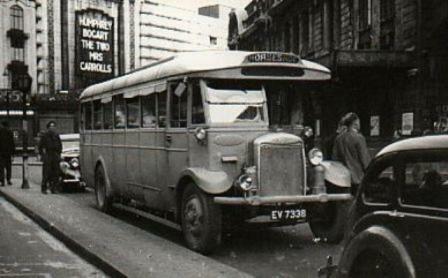 To the left an image of one coach that seemingly got away from the coach company way back in the 1980s. How come? 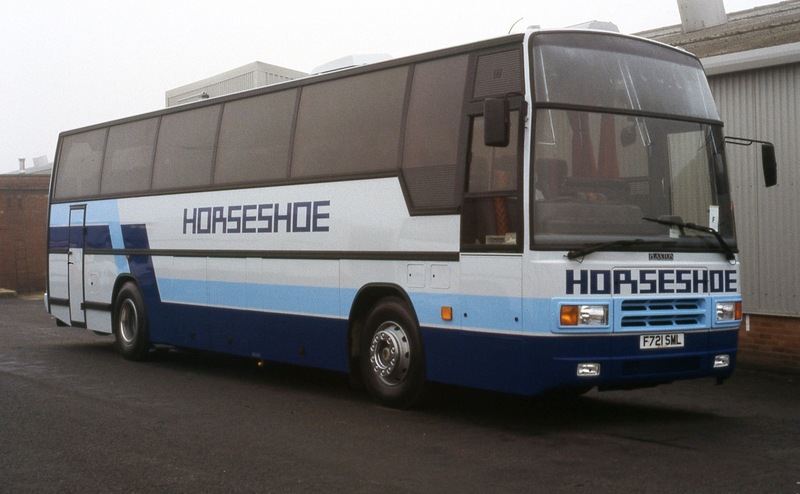 Cannot remember what happened but like I have noted in the latest book, and of course being on the side of "must have" as well as always loving the livery, it was a shame that the company were for whatever reason, unable to take this further vehicle within the rest of the fleet. 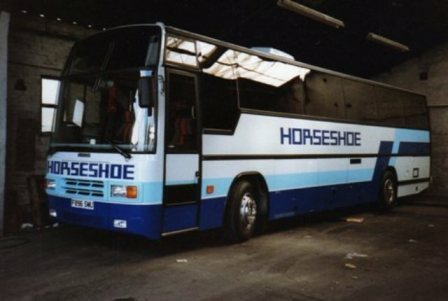 THE LIFE AND TIMES OF HORSESHOE COACHES LTD. 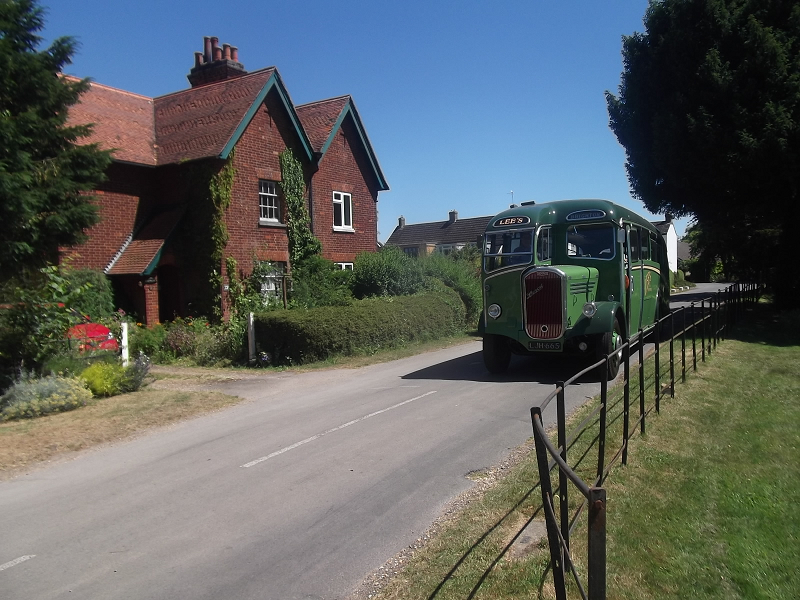 Above and to the right, the year 2018, photos sent to me by my friend and colleague Meryvn, when the owner of the shown vehicle offered to take friends and relatives out for the afternoon to celebrate the retirement of their friend Nick, who ironically travelled on the same vehicle as a school boy when the coach was in the ownership of Horseshoe Coaches fifty odd years ago. How time flies!